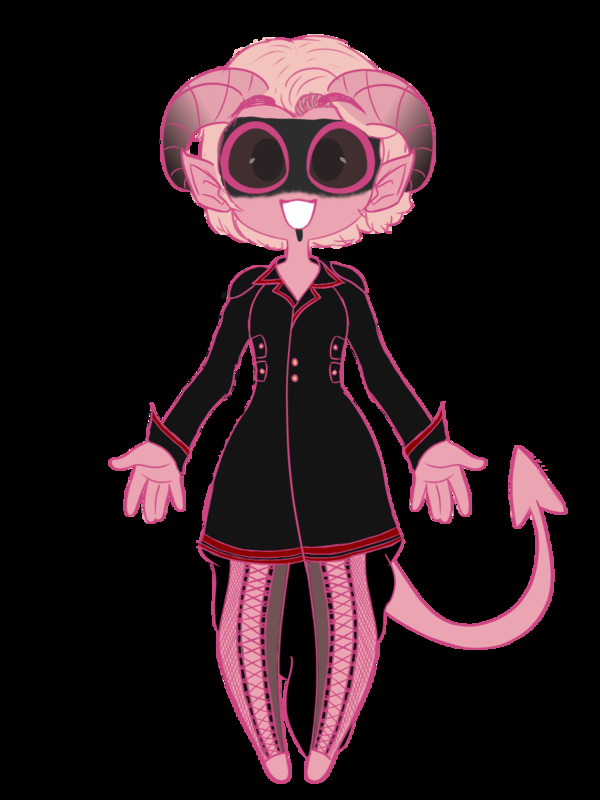 Personality: Zaxorie as her title implies is a head strong solo artist who looks to play her music to anyone willing to listen. Though not shy in scocial situations she appears quiet and introverted when not being directly addressed, this generally becuase she spends most of her free time deep in her thoughts writing mental notes about new songs. When on stage her true personality comes out as she throws all her emotions and worries into her music. Some say it's too loud but to her it's no where near as loud as it is in her head. She uses music to express herself in ways she normally can't which she finds to be therapeutic as it gives her a way to vent her anger or other lingering emotions. Powers: Zaxorie is naturally gifted with some magical powers, most are used to enhance performances and can even aid in combat. Prestidigitation: Allows her to cast minor sensory effects like a shower of sparks, a faint wind or distant sounds of music. Thunderwave: When striking the strings of her guitar she can create a wave of energy which can deal damage to the immediate area. Booming Voice: She can magically amplify her voice to aid in performances. Summon servant: When playing she can release an arc of lighting which forms into a small humanoid figure which can preform small tasks and deal some damage to enemies, the servant only lasts as long as she's playing. Skills: She is able to play most instruments but is best suited with a guitar. 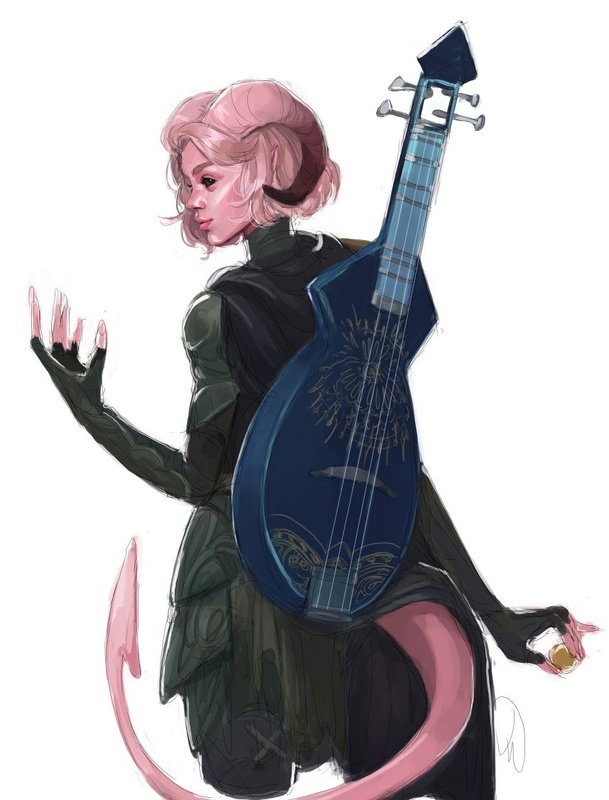 Equipment: Studded leather armor, a small knife and her enchanted guitar which has several wards etched on to it's surface. As a young girl Zaxorie fell in love with a traveling bard who convinced the naive village girl to travel with him. She eagerly left home and never looked back only focused on the future she thought she had with him. However after several weeks of traveling he had gotten board of her and abandoned her in a large city. Determined not to crawl back home in disgrace she vowed to become the best bard in all the lands. While traveling she did learn how to play the guitar which she put to use and gathered some money to help her survive. As she continued her career she moved from city to city but found the classic style of music didn't capture the feeling that rattled in her head and so developed a new kind of music, one where she could express the full spectrum of her emotions. She called it metal to match her unbreakable will. Zaxorie now travels to a new land in need of good musicians, a place she can maybe become a legend and cement her legacy of metal. Last edited by DaTurtle on Mon Aug 13, 2018 3:15 am, edited 8 times in total. Zaxorie, despite her title, is a friendly and cheerful person. She can be very flirtatious towards others and puts on a shy farm girl act to draw people in. Sweet Emotions: When singing she can influence people's emotions depending on the song. Playing slowly with a soft tone can lull someone to sleep or cuase drowsiness. Fast and harsh songs can evoke anger. Sweet melodies can seduce hearts. However the target might be able to ignore the spell if they can't hear her or if another emotion within them is stronger. 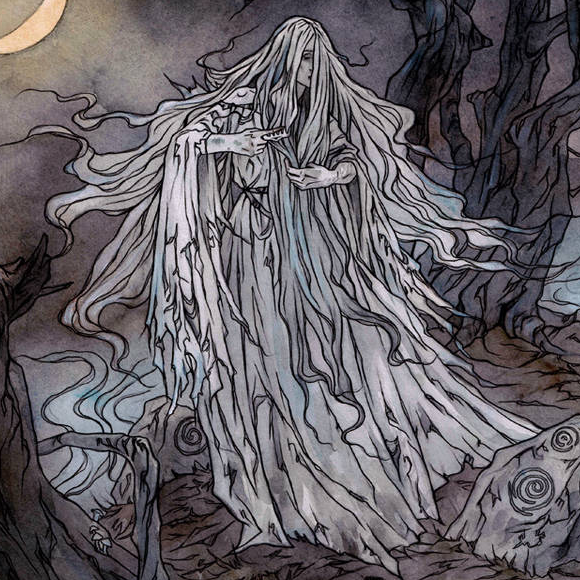 The spell is best used against unknowing targets or people who's personalities are deeply tied to a specific emotion. Equipment: Studded leather armor, a small knife and her enchanted guitar which has several grams etched on to it's surface.